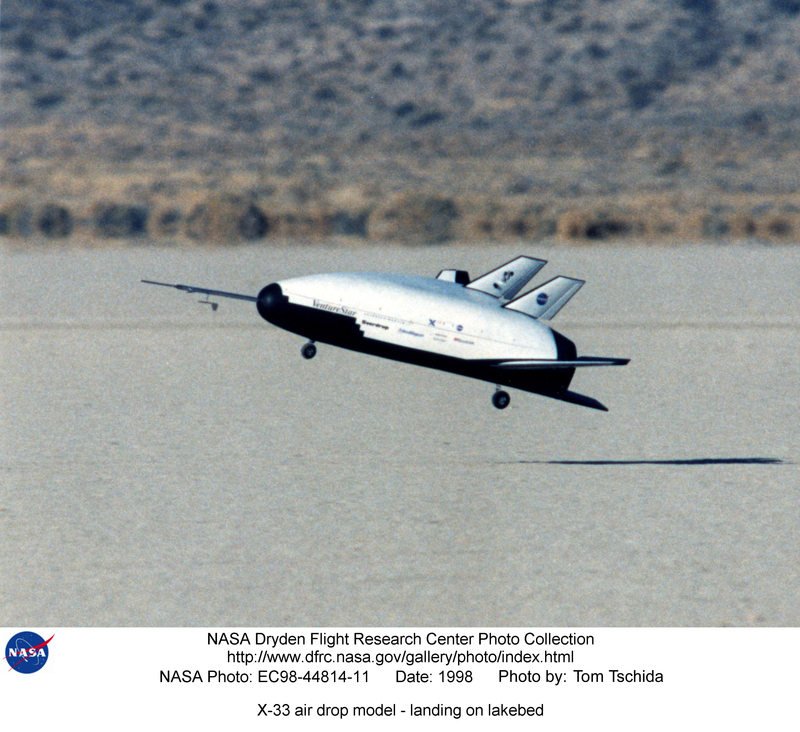 The X-33 model about to touchdown on a lakebed. 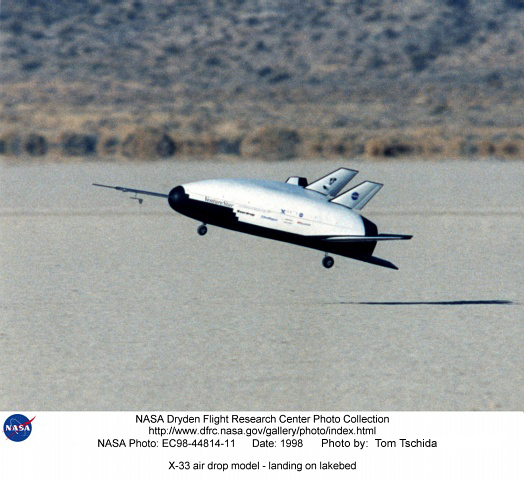 Dale Reed and others employed models to try out the low-speed aerodynamics of different lifting body shapes. Simple and low cost, these tests enabled the designs to be tested before a full-scale vehicle was built.